New rules came into effect in 2015 under the Affordable Care Act (ACA) as part of the yearly transition to the law’s full effectiveness. These rules will apply when complying with the annual ACA information return requirements. ACA 2015 information returns must be filed by certain employers in early 2016. So, now is a good time to determine what your filing requirements will be and to set up systems and records to help gather the necessary data and information. The following provides guidance on meeting your requirements and avoiding recently increased penalties. As with many of the US tax compliance rules, the ACA compliance rules require employers to determine whether the law was complied with and to report the results to the IRS. These filings are then subject to audit by the IRS. The stakes for compliance with ACA are extraordinarily high. Penalties for mistakes in filing the information returns can be $100 to $500 per employee filing. In addition, there are potential shared responsibility payments of $3,126 per employee. For 2015, applicable large employers (ALEs) will be required to file Forms 1094-C and 1095-C for the first time. For 2014, compliance with these information returns was voluntary. Generally, an ALE is an employer who has 50 or more full-time employees (including full-time equivalent employees). An employer for this purpose includes an individual operating as a sole proprietorship, a corporation, a partnership, a trust, and a tax-exempt entity. In addition, an entity that is otherwise treated as a disregarded entity for income tax purposes (e.g., a wholly-owned limited liability company (LLC)) can be treated as an employer for ACA compliance purposes. Form 1095-C is used to report information regarding an employee’s health coverage. This form is required for any person who was a full-time employee for any month in 2015. In addition, the form is required for any person who enrolls in an employer-sponsored, self-insured health plan (whether the employee is a full-time employee or not). Each ALE is required to furnish to its full-time employees a copy of Form 1095-C for 2015 by February 1, 2016. An extension of up to 30 days is available at the discretion of the IRS. Form 1094-C serves as a transmittal for Forms 1095-C of an ALE and is filed with the IRS along with each of the Forms 1095-C of the ALE. The 2015 Form 1094-C is required to be filed with the IRS by February 29, 2016 (or by March 31, 2016, if filing electronically). An automatic 30-day extension is available (and an additional 30-day extension is available in the case of a hardship). Employers who file 250 or more Forms 1095-C are required to file the Form 1094-C (and the accompanying Forms 1095-C) electronically. 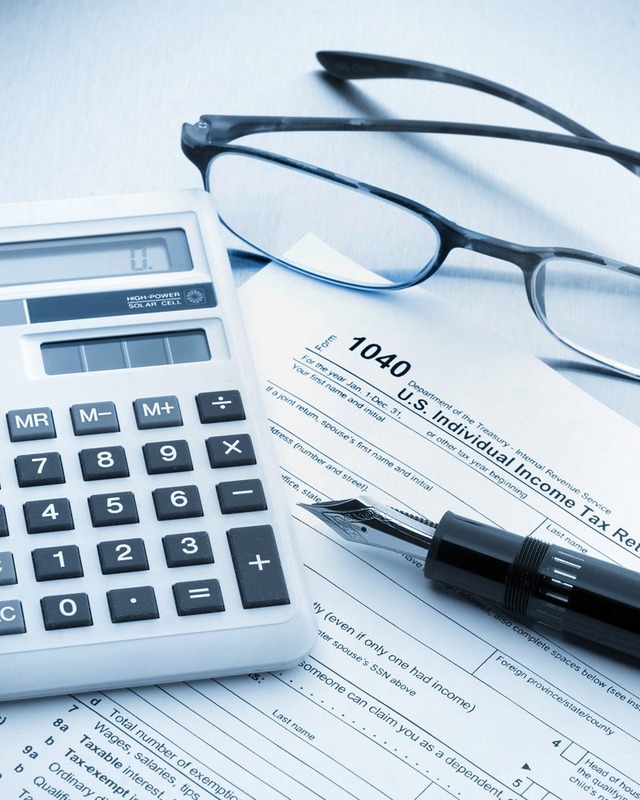 The requirement to file electronically can be waived by the IRS upon showing hardship. For employers with fewer than 250 forms, electronic filing is permissible and encouraged by the IRS. Employers are permitted to file multiple Forms 1094-C. An employer might select this option if payroll is set up on a divisional basis. Where an employer files multiple Forms 1094-C, one of the forms must be designated as an “Authoritative Transmittal.” Regardless of whether an employer files multiple Forms 1094-C, an employee may receive only a single Form 1095-C from a single employer. The penalties for late or erroneous filings were recently increased starting with 2015 filings and range from $50 to $250 (depending upon when the correction is made) for each Form 1095-C. The penalty is capped at $3 million per employer, per calendar year. The actual penalties, in practice, are double these amounts since an error made in a form given to an employee will frequently be duplicated in a form submitted to the IRS. For 2015 reporting only, the IRS has stated that it will not impose penalties for incorrect or incomplete information if the employer can substantiate that it made a good faith effort to comply with the information reporting rules. The good faith exception will not apply to late-filed returns and statements. Employers who file late may still be entitled to penalty relief if reasonable cause can be shown. ALEs who do not offer a minimum amount of affordable health insurance to their employees and their dependents may be liable for an employer shared responsibility payment for the first time in 2015. Employers were exempted from liability for 2014. The shared responsibility payment for 2015 can be as high as $3,126 per employee. The shared responsibility payment is a civil penalty and is not self-assessed by taxpayers. The IRS will use the information reported on Forms 1094-C and 1095-C to determine which taxpayers to assess and at what amounts. Employers with fewer than 100 full-time employees (including full-time equivalent employees) in 2014 are generally exempt from the employer shared responsibility payment for 2015 if certain requirements are met. Special rules apply for fiscal year employers. Below is a discussion of some of the steps that will be necessary to prepare for the 2016 ACA compliance season. 2014 Status. The first step is to determine the number of full-time employees and full-time equivalent employees in 2014. If the number of full-time employees (including full-time equivalent employees) for 2014 is less than 50, the employer will not need to file Forms 1094-C or 1095-C for 2015. If the number is 50 or more but less than 100, the employer will need to file the forms but may be exempt from liability for an employer shared responsibility payment. If the number is 100 or more, the employer will need to file the forms and will have potential liability for shared responsibility payment. For employers who did not exist in 2014, the number of employees is determined based on the number of employees reasonably expected to be employed in 2015 as opposed to the actual number of employees. Number of Employees. If it is established that the employer is an ALE, the employer will need to determine the number of full-time employees for each month in 2015 for purposes of Form 1094-C. In addition, the employer will need to file Form 1095-C for each employee that is full-time for any month in 2015. The number of full time employees (and full-time equivalent employees) also must be determined for 2014 to ascertain ALE status and potential employer shared responsibility payment liability. Generally, the number of employees for a month is determined based upon the number of full-time employees of the employer. For this purpose, a full-time employee is an individual employed for thirty or more hours per week on average. Generally, 130 service hours in a month is treated as meeting this requirement. For part-time employees (i.e., those working less than thirty hours per week), the full-time equivalent status (relevant for 50 or 100 employee determinations) is determined based on the fraction of the hours worked in a month over 120 hours (but not more than 100%). For example, an employee who works 60 hours in a month is considered to be the full-time equivalent of half of an employee. the number of employees during the year. As a transition rule for 2014 only, employers are permitted to only take into account any consecutive 6-month period instead of 12 months. For example, the period from March to August 2014 could be used to determine the number of employees. For employers who hire independent contractors, such individuals will be treated as employees for ACA purposes if they would be treated as employees under general tax principles. As a result, it is important to revisit positions taken in prior years that certain individuals are not employees. Employers who can substantiate that they offer affordable minimum essential coverage to at least 98% of their full-time employees can avoid having to determine the number of full-time employees (and report the number on Form 1094-C). The employer would still need to determine the full-time status of its employees and file a Form 1095-C for such employees. Such an employer is permitted to file a Form 1095-C for all employees who potentially could be full-time employees (in order to avoid having to make a determination). Aggregated ALE Group. Generally, whether an employer is considered to have 50 or more or 100 or more employees in 2014 is determined on the basis of an aggregated ALE group (i.e., a group of related entities and businesses). Even if an employer has a sufficient number of employees, the determination of whether the employer is a member of an aggregated ALE group still needs to be made for 2015 as the IRS requires a disclosure of the other members (and their employees) on Form 1094-C. The determination of the existence of an aggregated ALE group is made on a monthly basis. An employer is considered to be a member of a group for the calendar month if such is a member on any day in the month. For ACA purposes, two or more organizations are generally treated as related if an organization or group of individuals owns (directly, or indirectly under attribution rules) at least 80% of the equity of both organizations (or one of the organizations owns at least 80% of the equity of the other organization). In addition, if an organization performs management functions for another organization, the organizations are generally considered related. Health Coverage. Employers who are ALEs will need to determine the kind of health insurance coverage that was offered to full-time employees and their dependents for each calendar month in 2015. Such employers will need to disclose information as to whether affordable minimum essential coverage was offered to each full-time employee, spouse, and dependents on Form 1095-C and whether 70% of such full-time employees received an offer on Form 1094-C. After 2015, the percentage of full-time employees required to receive an offer of affordable health insurance increases to 95%.